DVDR Free Region, cases no artwork. A shipment of Vickers machine guns is stolen from a British warship in Bombasa Harbor, Africa, in 1914, and Denham is assigned to track them down. 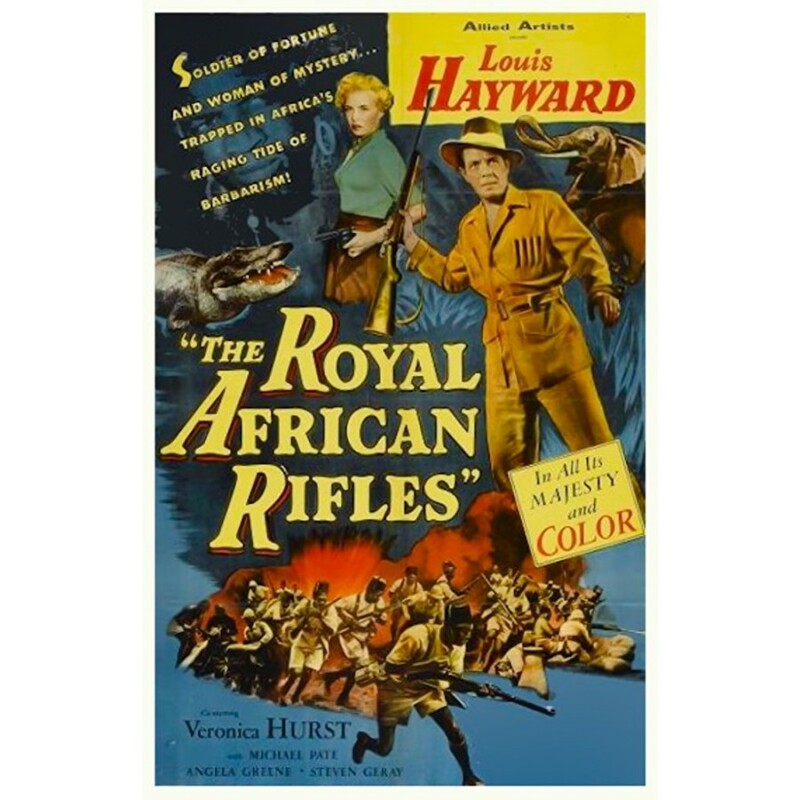 He poses as a hunter and follows a trail that leads him to Cunningham, a trader, who intends to sell the rifles to the Germans, and whose daughter, Jennifer, Denham loves.